There are many varieties of almond trees. The top five varieties for California often grow very well in other almond growing areas, including Texas, New Mexico and Arizona. Varieties of almonds vary in thickness and hardness of the nut shell and in the length and texture of the nut meat. The Carmel almond is commonly grown in home orchards in California. These high quality almonds are very well sealed in their shell. Carmel almonds tend to produce better when grafted to Nemaguard and Lovel peach seedling root stocks, according to a study by the University of California. 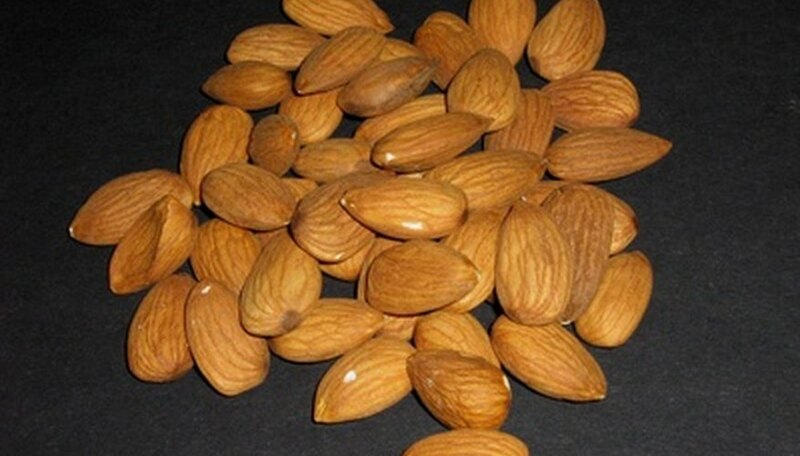 In addition to being a good cultivar for home gardening, the Carmel almond is one of the top 10 almonds for commercial cultivation in California. Texas Mission almonds grow well in many places. Like the Carmel almond, Mission almonds are popular both in home gardens and as a commercial cultivar. It is also one of the top 10 almond crops in California, according to the University of Georgia. The Mission almond tree is very tolerant and grows in less than ideal soil conditions. Mission almonds produce later than some other varieties and have a hard shell with a shorter nut than some other varieties. Neplus Ultra almonds are a popular commercial almond tree in Arizona. It is also one of the top 10 commercially cultivated almonds in California. Neplus Ultra almonds are suitable both for cultivation commercially and in home gardens. The shells of these almonds are softer than in other almonds. The nut of the Neplus Ultra is long and flaky. The Nonpareil almond is the most popular commercial almond. Its soft shell and long, soft kernel make it ideal for commercial processing before sale. It is the top almond crop both in California and in Arizona and can also grow very well in home orchards. Depending on your climate zone, these almonds are ready in either August or September.